1. You must have a clear trading plan. You should also remember that a complicated approach is not always the best. The most difficult in trading is the right identifying of entry/exit points. Technically, it is very easy to enter a trade, you just need to click a button, and there you are, trading. But will you make any profit from it? Nobody can answer. So, you must know in advance, where to enter and where to exit a trade. As experience proves, it is more important to exit the trade correctly than to enter it. What percent of yield do you expect from a position? What percent are you prepared to lose? You should answer these questions in advance, before you open a position. Some traders open positions and trade impulsively. Of course they will inevitably lose. It doesn’t matter how much they’ve increased their initial deposit, they will go bankrupt in the end. 2. You must speculate only the leading market assets – the strongest in the uptrend and the weakest ones in the downtrend. It is true for commodities, stocks and foreign exchange. If you choose a strong currency, you’d better pay attention to euro, US dollar and yen. Weak currencies include “exotic” ones, for example, Mexican peso, Turkish lira or Polish zloty. Though, everything depends on a certain context. Sometimes, “third-rate’ currencies feature strength, and the developed countries’ popular currencies devalue. If a Turkish lira, for example, has risen rather much against the US dollar, it makes some sense to bet on its decline. In the stock market paradox, something expensive grows more expensive, and something cheap gets cheaper. It works in most cases, though, not always. When the stock market is bearish, you must find the securities that will be falling in price fast. Usually, companies of technology industry or financial establishments fall in price very fast during a crisis. You can trade indexes, for example, the Dow Jones index, or rather its CFD. Precious metals may even temporarily rise in price at the beginning of a crisis, as traders look for assets to invest in. It was so in late 2007-early 2008, when gold and silver prices were growing despite the stock market crash. However, it continued only for a few months. During a crisis, almost everything is getting cheaper. But gold was one of the first to start increasing in price. That doesn’t mean, it will be the same during a new crisis. 3. You should trade only at strong pivot points. You mustn’t enter a trade just because of boredom. Beginner traders may gain two or three dollars just not to stay doing nothing. This approach can result in a very difficult situation, when an account features a big loss. How do you identify pivot points in the chart? Some traders look for them by means of indicators and oscillators. Surprisingly, both groups make profits applying different approaches to the business. A strong pivot point is a new bullish stock market. But how do you know, whether it is just a new price jump before the fall or a new bullish market? It is a kind of art. Not everybody will master it even with life-long experience. 4. You must avoid trades in too short timeframes. Of course, there is scalping, but there are very few successful scalpers. It is much more reasonable to expertise position trading. Speculators can succeed in the middle-term trading either, but not everybody will. Advanced traders recommend taking profits, not less than 10 times more than your commission costs for one trade. So, you’d better open a position in the long-term or middle-term trend. It is stupid to seek to earn from any market move. 5. Buy cheap, sell expensive. Besides, you must remember that the price can move anywhere. The entire market analysis just increases your chances for success, but never guarantees it. If anybody tells you about a kind of trading Grail, do not believe. It just can’t exist. If it existed, there wouldn’t be any trading at all. But still, there are new trading strategies, which promise guaranteed profits, appearing from time to time. Anyway, test these approaches on demo accounts before you start using them in real trading. 6. You must apply stop loss to trade safe. Yet, a stop order won’t necessarily drive you to financial victories. Your trades may be closed by stop losses all the time, destroying your account very fast. Some traders put stop orders relatively far from the position, so that the price won’t reach it very fast. Others put stop loss rather close to the entry point. Some speculators don’t use stop losses for one position during pyramiding, but always put them for all the rest of their trades. This approach can be quite profitable, if you trade with small volumes. 7. In successful trades, you should let the profit increase. You should close the position only if you clearly understand that the trend will end soon. Beginners do the opposite: they take a small profit and let their losses increase for a long time. For example, they take the profits of about $5-$10, but don’t close the losses of $50 -$100. Of course, you’ll never succeed with such an approach. 8. You must keep your free margin quite large. Don’t wait until your position is closed by the margin call (forced by the broker). You shouldn’t take rash decisions, based on emotions. 9. Sometimes, seeking risk diversification and opening multiple different positions is a try to reduce the risks and protect the capitals. But that is not always so. Traders often get multiple problems instead of a single one. You can solve one problem, but it is far more difficult to settle down multiple troubles. For example, in the strong bullish equity market, you can buy 3-4 different securities, and add more, as the price grows. But in forex, this approach is always loss-making. In the stock market, a moderate diversification is good, but an excessive one is dangerous. 10. It is unreasonable to take trading decisions at the end trading. For example, on Friday, before the weekend, or at the end of the stock market trading session. Some traders, on the contrary, wish to gain on the market possible surge at the opening; but it doesn’t give you any advantages over the market. So, it can’t be profitable. 11. Trading success 9/10 results from a speculator’s analytical skills; so, you need to study, improve your skills both in technical and fundamental analysis. Most traders apply both types of analysis. There are some traders, who prefer only fundamental or technical analysis. Some speculators don’t even monitor the charts. They just learn the price from their assistance and take their decisions. They claim that charts are confusing. 12. You should keep your trading diary to write down the mistakes and good decisions, to analyze your performance. You don’t need to do it if your memory is perfect. You’ll just be losing your time, if you already remember everything. Or, you can describe some of your trading situations, the most interesting ones, without keeping everyday records. It is remarkable, that traders, who train beginners, write books on trading, are more successful than those, who don’t share their knowledge with anyone. If you repeat a hundred of times that one mustn’t do something, you won’t do it yourself. 13. The more is trading volume, the more are potential profits, but the risks are also higher. Professionals say, your loss shouldn’t be more than 2% of your deposit a day, and more than 10% a month. It makes some sense to cut your losses more, for example, to 1%. 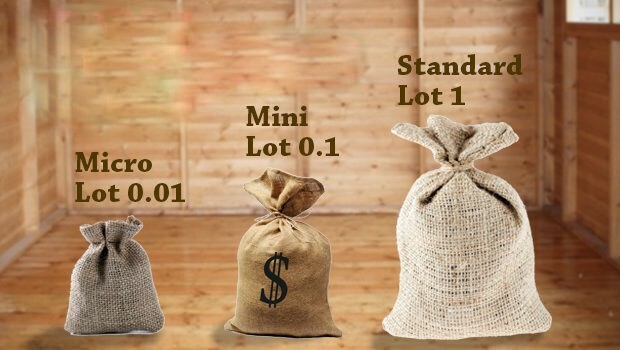 Of course, this rule works only provided you trade a comparatively large amount of money. If you trade 10 dollars, you shouldn’t take the loss of 10 cents. Anyway, there is hardly any point in trading 10 dollars. 14. You should make a pause after a series of losing trades. How many loss-making trades do you need to face before you take a break? Some will give up on trading after three unsuccessful positions, others will continue despite five consecutive losing trades. Much depends on your trading tactics. There a lot of them and many will be efficient, provided you apply them correctly. A trading strategy can be good for one trader, but for another one, it will be dangerous. There are common rules, any trader should follow. But there are also the rules, important for some traders, and completely useful for others. Everything depends on the way how a trader precepts and processes information. 15. Make up a trading plan. It must be clear and concise. If you start to complicate it, you’ll definitely fall into the market’s trap. What market are you going to trade? Foreign exchange? Stocks or commodities? Why this one, not any other one? Why don’t most traders want to trade in this market? What do they know that you don’t? Maybe, you know nothing at all? Then, you’d better read some textbooks. You won’t fight with a professional wrestler without proper training, will you? Why do think, the market will give you money so easily? Beginners often trade without any plan. They do what they like. But in the market, you must do what you should, rather than what you like. And that is far harder. Most traders lose their capitals in the market. Answer the question: why are you better than the majority? What do you know that others don’t? 16. Don’t enter or exit too often. If you open and close the position too often, you’ll fail. Sometimes, aggressive trading can yield some profits. But even then you should keep some distance between entries or exits. Your trade must be promising to yield. At least, the chances for success should be high. In the strong bullish equity market, you can enter many trades, using safe pyramiding. As a rule, this strategy works during the first two years of the bullish market, then it gets slower. 17. 1:2 – lose 10 dollars, gain 20 dollars. It could be good strategy, but not always. Some speculators are satisfied with smaller profits, other want more. A lot depends on the market, you trade. There are traders, who think that a proportion makes no sense. 18. Don’t go against the trend. Trend is your friend. At least, most professionals say so. In some cases, you can go against the trend and gain. But this approach is rather risky. Dissident traders, who act contrary to the majority, can trade against the trend in forex. Some of them claim that it’s the only way to take over the market. But one can hardly succeed without proper training and certain natural skills. The traders, who have certain necessary personal features, can trade contrary to the majority. 19. Don’t try to guess where the trend will reverse. In most cases, you will fail. Analysts try to find out the pivot point by means of Elliott waves, different oscillators and indicators. If you read trading journals, you’ll make sure, the experts can’t identify pivot points in most cases. Don’t waste your time on this. You don’t have to always hit the bull’s eye, you need to get a high score when you shoot. To hit the target, you need to shoot correctly, rather than just to wish to. The same is in trading. 20. Never use averaging. It will ruin your account. Moderate averaging can be safe for traders for a while, but they will certainly end up with big losses. Averaging for sells in the bullish stock market or in forex is especially dangerous. 21. Save what you gain. Have you earned some money? Do you think you risk only the profits, not your own money? Believe, it isn’t so. The money earned is yours. And you should respect it. Learn to respect your money. Even if you don’t need it, don’t waste it in the market. You should exit the trade, when its yield is rising, not decreasing. That is when the financial elevator is moving up, not down. 22. Never trade at night. Market won’t disappear anywhere. But your money may. You will have enough opportunities to trade. People should sleep at night. If you are a “night bird”, you can stay up late, but not too late. You should have enough sleep. Trading is, first of all, psychology. And your mind will be productive only provided you have enough rest. 23. Live an active life. You mustn’t only sit in front of your computer all day long. Go to the gym. Speculators especially benefit from sport games. You must focus on something else too. You may go to the swimming pool, ice rink, water park and so on. 24. Take big profits in small parts. You wish to turn 100 dollars into 1000 dollars. You need do divide a big task into a few smaller ones. First, increase you capital up to 200 dollars, next, to 300, and so on. It doesn’t mean, you should risk your $100 right away. It is possible to turn $100 into $200, next, into $400, and then, $800, though, it’s quite hard. The chances for success are very little. Professionals never risk so much. 25. Trade the instruments you know and understand. Do you have any experience in trading? What market do you prefer? If you are interested in commodities, select those, whose price moves are easier to predict. For example, if you are an expert in the gold market, trade this precious metal. If you have been trading securities for a long time, work with them. 26. Choose a proper financial leverage. Many brokers offer 1:100 leverage, or even 1:500. It doesn’t mean, you should use the maximum leverage available. The financial leverage of 1:10 and 1:20 is used in the stock market. In forex, it is usually of 1:100. If you trade at full power, you’ll soon lose all your money. However, traders may get bored with a little leverage. 27. Accept losses easily. To accept losses easily, never let them be too big. Take small losses with a smile, but seek big profits. Traders often use pyramiding in the equity market. It can generate quite a big profit. To do it, you need to open positions, one after another, and don’t forget to put stop orders at the breakeven level. But you should be prepared to put up with multiple zero trades, and even losing ones (due to the gaps in the market). 28. Automated trading. Does it make any sense to apply automated trading? Based on the answer, traders are divided into two groups. Some traders think it’s better to avoid robot-traders at all. Others apply robots to some market segments and are quite happy. It seems, you can use automated trading, but very carefully. Robots have some advantages over humans: they don’t need any rest, free time, leisure activities, lunch breaks, and so on. In addition, computer software can’t feel any emotions, so, it never suffers from nervous breakdowns. But, who designs the software? Humans. And they are not necessarily experts in trading. As a rule, they are computer programmers, who are good at exact sciences that are not so important in the market. It is psychology that is important. Computer programmers are usually bad psychologists, and vice versa.